Who Won the Indy 500 Today? INDIANAPOLIS – For a guy who finished second in the Indy 500 for the third time in his career – by just .2011 seconds to first-time winner Takuma Sato – Hélio Castroneves was surprisingly cheerful after the race. Instead of disappearing from Indianapolis Motor Speedway while Sato and his Andretti Autosport team kicked off their celebration, Castroneves hung around. His smile was ear-to-ear, he paused to take selfies with fans lining the track and even cracked a few jokes during his press conference. He was his usual, charming self. Of course, his three previous Indy 500 wins probably make second place an easier finish to accept. 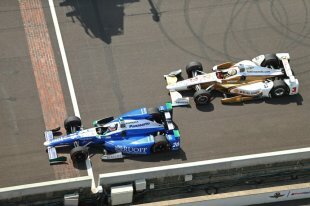 But with the lead late in the race – before Sato shot ahead – he was just six laps from becoming only the fourth driver in history to earn four Indy 500 wins. “The good news sounds like we’re leading the championship, so hey, the result is a positive note, ” he said with a chuckle about his first-place, 11-point lead in the IndyCar Series standings over Sato, Simon Pagenaud and Scott Dixon, who are tied for second. The 42-year-old’s most recent Indy 500 win was in 2009, and he remains the last driver to win back-to-back races in 2001 and 2002. 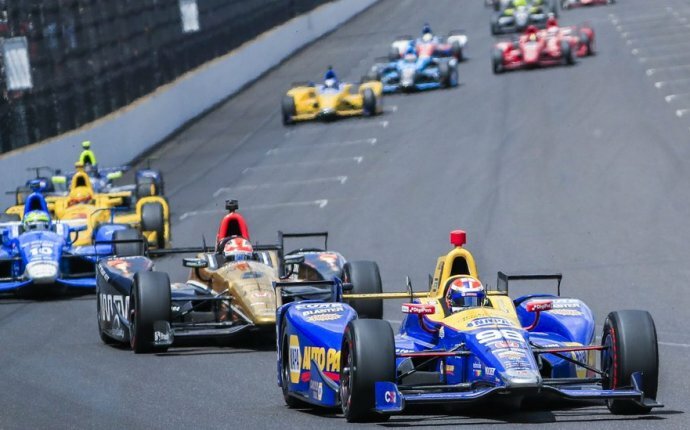 Sure, he’s been racing in the IndyCar Series for 17 years – racking up 23 wins overall – but while congratulating Sato, Castroneves joked about how age isn’t going to stop him from chasing his fourth Indy 500 win.